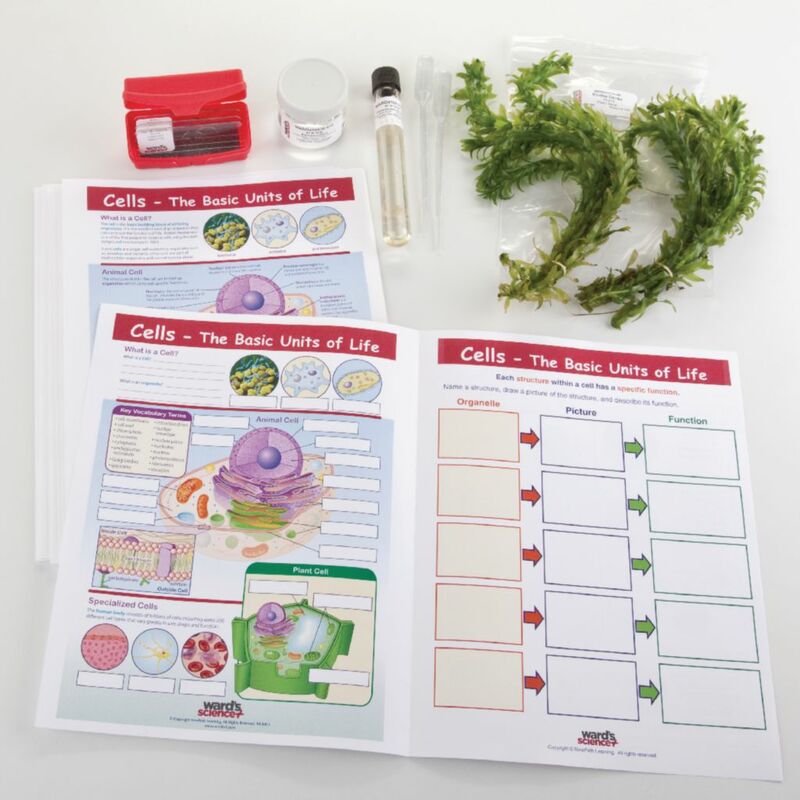 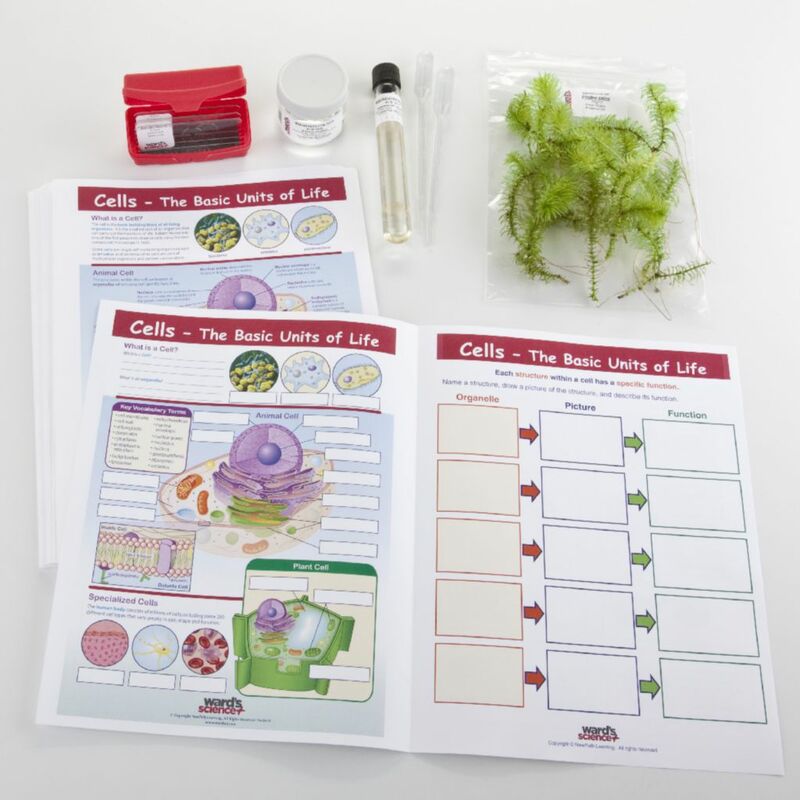 Give your students a great hands-on learning experience with these Hands-On Collaborative Learning Bundles. 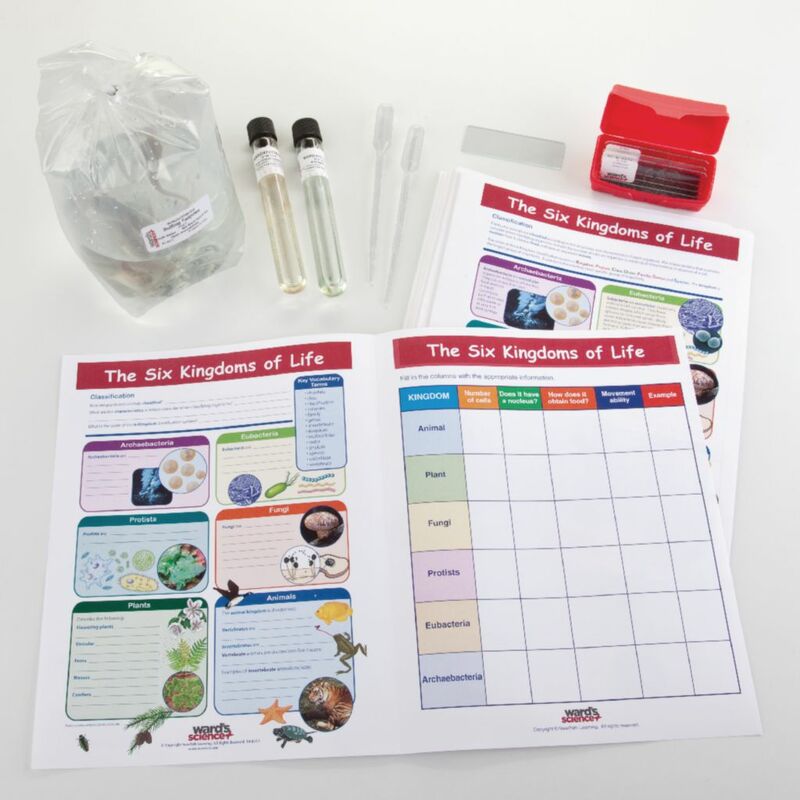 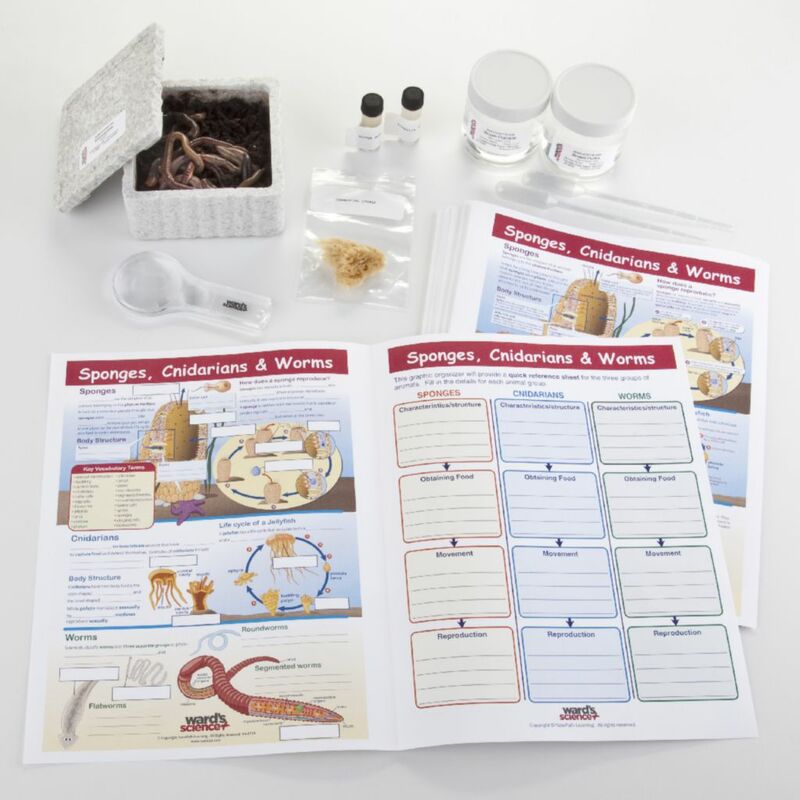 Each learning bundle includes materials for up to 8 groups of students including hands on materials and reusable visual learning guides. 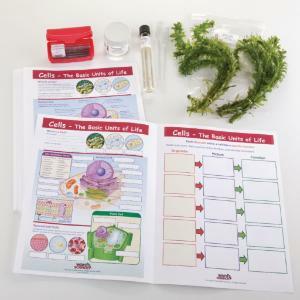 Living specimens can be refurbished with convenient refill packs. 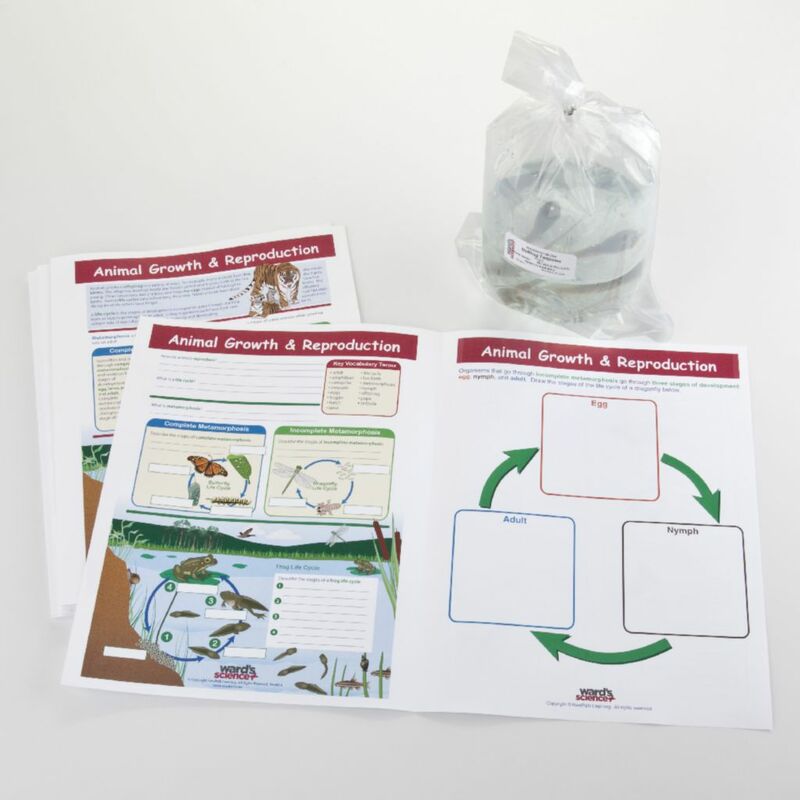 Literature guides also available separately. ~Animal Growth and Reproduction includes 2 live specimens: live bullfrog tadpoles and butterflies and supplies: 8 dry-eraseable literature guides.~Cells - The Building Blocks of Living Things includes 3 live specimens: amoeba, paramecium and either Elodea densa or Egeria najas. 3 prepared microscope slides: amoeba, paramecium and Elodea, and supplies: transfer pipets, and 8 dry-eraseable literature guides.~Six Kingdoms of Life Bundle includes 3 live specimens: Anabaena, bullfrog tadpoles and Paramecium, 3 prepared microscope slides: Bacilli, Saccharomyces and Elodea, and supplies: a hand lens, transfer pipets, microscope slides, and 8 dry-eraseable literature guides.~Sponges, Cnidarians, and Worms Bundle includes 3 live specimens: hydra, planaria, and earthworms, 3 preserved snail specimens and supplies: depression slides, transfer pipets, hand lens, and 8 dry-eraseable literature guides.~Mollusks, Arthropods, and Echinoderms Bundle includes 2 live specimens: live crayfish, pond snails, 2 prepared microscope slides: starfish and sea snail, and supplies: a hand lens, and 8 dry-eraseable literature guides.~Additional items recommended but not included: Learning bundles do not come with housing for living specimens. Ordering information: Complete Bundles and Refills contain living specimens and will ship via overngiht or 2-day air. 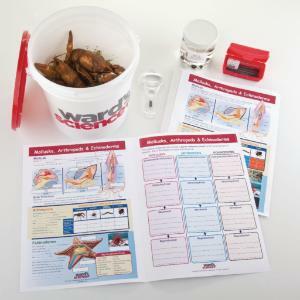 Please specify a delivery date during checkout. Delivery information: Learning Guide Refills contain no perishable material and will ship via ground at the time of your order completion.